For smooth handling of wide loads in narrow isles, look no further than the Cat® Lift Trucks range of completely flexible multi-way reach trucks. The highly ergonomic Cat® NRM20K and NRM25K multi way reach truck models are revolutionary in concept, imaginative in execution and with the superior performance you’ve come to expect from Cat Lift Trucks. These very robust and highly manoeuvrable machines feature exceptional stability, multi-directional travel and impressive residual capacities at lift heights up to 9.0metres. Keeping you operators in mind, they will benefit from the reach trucks’ comfortable, high-tech and functional operator’s compartment which houses a swing-away control console to ensure optimum driving comfort, along with a fully adjustable seat for weight, backrest and driving position. They will also gain from the reach truck’s smooth performance and easy handling of long loads in narrow warehouse aisles. This exceptional mobility is achieved through the ‘fly-by-wire’ steering and independent power, braking and control of each load wheel. Additionally, a lift height indicator on the control console with optional height pre-sets also helps to make high-level procedures easier. 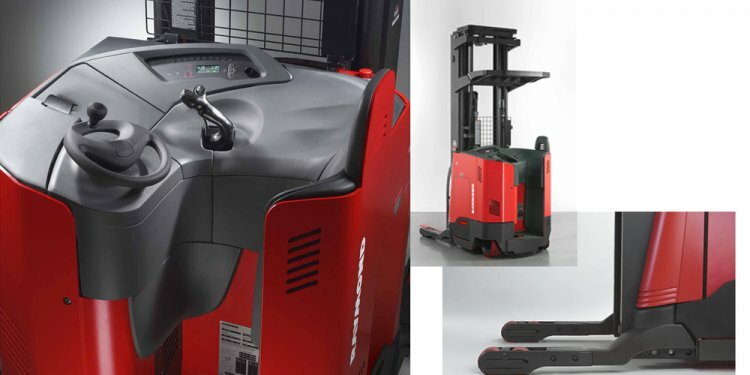 All the multi-way reach truck wheels turn 360° in either direction for infinite steering precision and multi-directional travel: forwards, backwards, parallel, sideways and rotational. Furthermore the AC drive motor provides powerful acceleration, regenerative braking and step-less modulation of travel speed. As with all Cat products, our multiway reach trucks come with a range of options available and are easy and quick to maintain having a broad selection of built-in diagnostic functions for quick identification of any faults or errors.